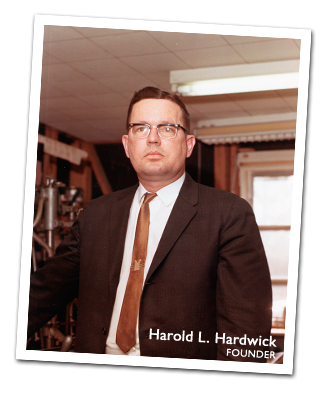 Hardwick Printing was founded in 1957 by Harold L. Hardwick. Harold returned to his birthplace, Dothan, Alabama, to become the machinist for The Dothan Eagle. During this time he opened the “part time” business, Hardwick Printing, with an old hand fed letterpress and a paper cutter. 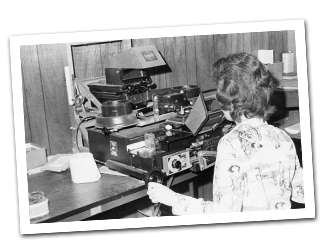 Hardwick Printing opened its doors full time in 1961 and changed the name to Hardwick & Son Printing in 1969 with the addition of Harold’s son, Jack Hardwick. Since 1961, the business has remained in the same location, but has expanded the original building four times. In April of 2006 they completed the addition of a 1,200 sq. ft. paper/supply inventory warehouse. The additional space in the plant facilities has allowed the addition of a twenty-four station book binder and a Heidelberg digital four color waterless offset printing press. We also upgraded our large format press to a two color Kormori Sprint that also perfects (prints on both sides in one pass). With the addition of the Heidelberg Digital Imaging press Hardwick & Son once again stepped forward with the latest technology that takes clients jobs directly from the computer to press in one simple step. 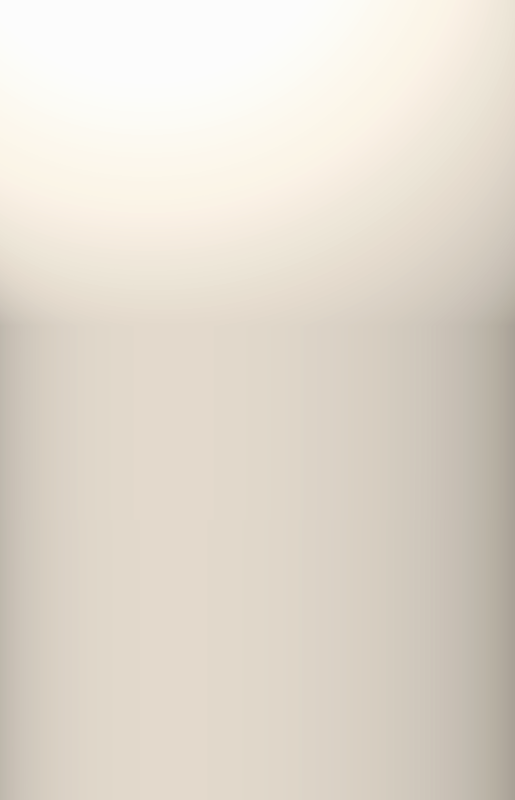 This gives their clients the advantage of same day full color printing. 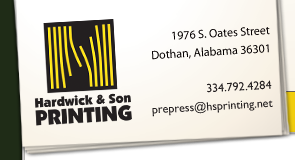 Hardwick & Son Printing also opened HardCopies, on Westgate Parkway, in 1998. The decision to open HardCopies gives them the capability of fulfilling all of their customers requirements for quick copies of any size documents up to 42” x 8’ in black and white or full color. With plans to open additional HardCopies stores in the future, Hardwick & Son Printing is sure to be a competitive printing business with customer satisfaction driving their growth.